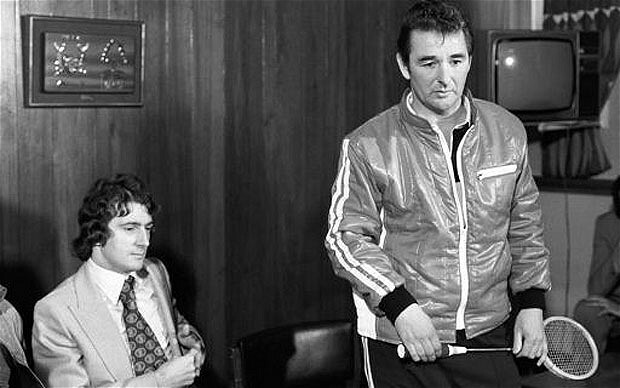 Thirty seven years ago today, Nottingham Forest manager Brian Clough turned up to a press conference in a fetching red leatherette jacket, clutching a squash racket, to introduce new signing Trevor Francis. It was a momentous moment, because Francis had just become football’s first million pound man. Except he wasn’t. Not quite. Clough deliberately set the transfer fee at £999,999 – a single penny shy of the £1million mark – in order to stop the aforementioned ‘million pound man’ tag turning Francis into an even bigger big head than Old Big ’Ead himself. The move echoed Tottenham boss Bill Nicholson’s similar decision to set Jimmy Greaves’s fee at £99,999 to spare him the burden of being football’s first £100,000 man back in 1962. Anyway, Clough’s psychological jiggery-pokery was swiftly rendered redundant. 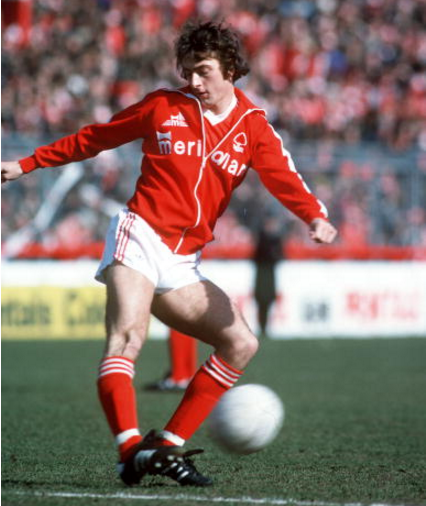 Taxes and VAT meant that Forest’s total outlay on Francis swiftly rose to over £1.1 million by the time the deal was fully completed. It should also be noted that two Italian players, Giuseppe Savoldi and Paolo Rossi, had both already been sold for well over £1million a pop over in Serie A, but the English press seemed happy to gloss over that fact. Nevertheless, it was a huge fee at the time, almost double the short-lived previous British record which was set just a month beforehand when West Brom paid Middlesbrough a shade over £500,000 for David Mills. Those fees are now dwarfed by the amounts that change hands in the modern transfer market. As the money-go-round sped up, it soon became a source of pride to reach the next financial milestone. Rather than play them down, clubs openly boasted about the fees paid – see Real Madrid in the late 1990s/early 2000s for details. Recently, in another twist, the coyness over monies exchanged has returned as clubs do deals for undisclosed fees in an attempt to keep their commercial cards up their sleeves. @Braganza: Turns out we were looking at the wrong list entirely. Duly amended.